A backwater valve (sometimes called a backflow or sewer backup valve) is a device that is connected to your sewer line, blocking water or sewage from flowing back into your home through the toilet, kitchen and bathtub drain pipes in the event of a heavy rainstorm. Municipal sewer and drainage infrastructure is unreliable. Many municipalities and insurance companies are now advising property owners to make sure they have a backwater valve installed in the home or building. We always advise our clients to protect their property from a sewer back-up by having us install a backwater valve for them. A crew from Canada Waterproofers will conduct a camera inspection of the sewer at your property to determine the best location to install the backwater valve. Our technicians can install the valve in a day. We’ll come in, excavate where the sewer connection leaves the house, usually at the front of the house. We’ll determine then if the valve should be installed inside or outside the property. After it’s hooked up, the crew will support the pipework with gravel, back-fill and compact the ground – with a concrete finish if it’s an interior job. We’ll make sure everything is cleaned, then test the valve, so that everything is operation-ready.  Remember – Canada Waterproofers has 25 years experience in the plumbing and waterproofing business, and we back up our work with a 25-year warranty.